Your service tech Mike spent a lot of time spraying in all the rooms of my house and in my crawl space. He was very pleasant and patiently answered my many questions. When he came back to check things one week later, I told him that I was not happy that there were still a few ants in my house. He assured me that they were stragglers and that they would eventually disappear. It is now 5 days after his second visit and there are still a few stragglers, but the numbers seem to be diminishing every day. I have had an ant problem for several months in my house & was working with another company that never controlled the issue. I switched to Rose & they did a thorough check of my house & after their services my ant situation has been taken care of by concerned technicians. Choosing Rose Pest Control was a great decision! Very professional and thorough in home inspection, competitive pricing, excellent guarantee, and professional execution. I haven't seen any pests since! The service was great. The service representative was very knowledgeable and did a terrific job. My problem has been solved. Our service provider through Rose is wonderful. He is always polite, timely, and approachable. The personal touch is always appreciated with any home care. I would highly recommend Rose. Excellent service; super friendly tech! Friendly knowledgeable technicians and effective results. Great experience.Your person who checked out our house was great. I have used Rose for many years and has always been very happy and satisfied with the outstanding level of service provided! Guy was our service technician. Friendly and effective. Gentleman had good manners and seemed knowledgeable. The technicians have been prompt, friendly and knowledgeable. Would highly recommend. Mike is a very competent technician. Accommodating and very good and courteous service. Highly competent, excellent service! A reliable company. I have been using them for years. Especially impressed with pest management professional, Rich Gifford. Very nice and knowledgeable staff. Genuine concern with each given situation with respect for personal property. We have been customers of Rose Pest Solutions for the last seven years. From our landlord using them at a rental property to our second home, Rose Pest Solutions is the best. Friendly staff, no-nonsense business attitude and courteous service. That's Rose in a nutshell! Please do NOT show up without an appointment that I have made. This is the second time. Thank you. Very thorough. Excellent customer service. I have used Rose Pest for several years and would highly recommend their service. It seems every spring we have an ant problem (both inside and out) and they have kept it under control. If necessary they have come out additional times for an 'extra' spray. Their servicemen are friendly, clean and very knowledgable! Always on time and they do a thorough job. Have been using Rose Pest for years now and would definitely recommend them! I have used Rose pest solutions for years. Consistently excellent, timely, courteous professional service. I would recommend a yearly service contract - they remind you when it’s time for quarterly service & know what seasonal issues to watch out for. Jim shows up on time every time for the last five quarters. He confirms about 10 minutes before he gets to our home. Jim goes about his business searching our home inside and out without making any mess on our floors. We no longer have ants as well as those cute little mice - all gone. Billing gets messed up sometimes but is immediately corrected via telephone with a cheerful AR representative. I was very pleased with my last service call with Michael Brantley. He had a new idea to work on my cricket problem. He was also more thorough than the technician I had in October. I hope I can have him as my regular technician . Easy to work with, accommodating, organized and dedicated. 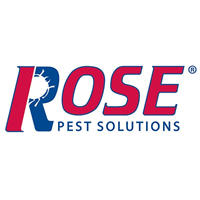 We have used Rose Pest Solutions for almost 20 years and recommend them without hesitation. They are professional, thorough, and very customer focused. I have used Rose in the past and then and now they have been extremely thorough in searching throughout my house and outside perimeter to find where problem originated and attacking all areas. I have been very pleased with the quality of their service. I used another exterminator company that could not get rid of the carpenter ants in my house. I switch to Rose company and they did it. Tula A. Rose technicians are polite and knowledgeable. They are very professional. Jesus was very good--thorough, professional, polite and efficient. Mike did a thorough inspection of our house. - both interior and exterior. He found a few holes in the stucco and plugged them with steel wool. He also took the time to find and check every bait trap in the house. He was both extremely courteous and efficient. Rich Gifford is a top notch technician. He's professional, thorough, reliable and courteous. We know the job will be an A+ when Rich is on it. We've relied on and have been a customer of Rose Pest for over a decade and have never been disappointed in their service. I would, and have, recommended them to many. I've used Rose Pest Solutions for my home both in the suburbs and in Chicago - I've always thought the technicians were friendly, knowledgeable and always offering suggestions. I've been very happy with the service, and especially our tech, Richard. Dino was prompt and professional. I've used Rose Pest Control for over 20 years... very reliable company! He was polite, professional, and asked if we had any problems and listened. Very satisfied. Unless I'm missing something, I don't think I received a complete inspection. Why do you make the trip to my house and only check half of my bait stations? I have a total of 8 stations. It probably would have taken 10 more minutes to do them all! remove the stupid 50 ch min.